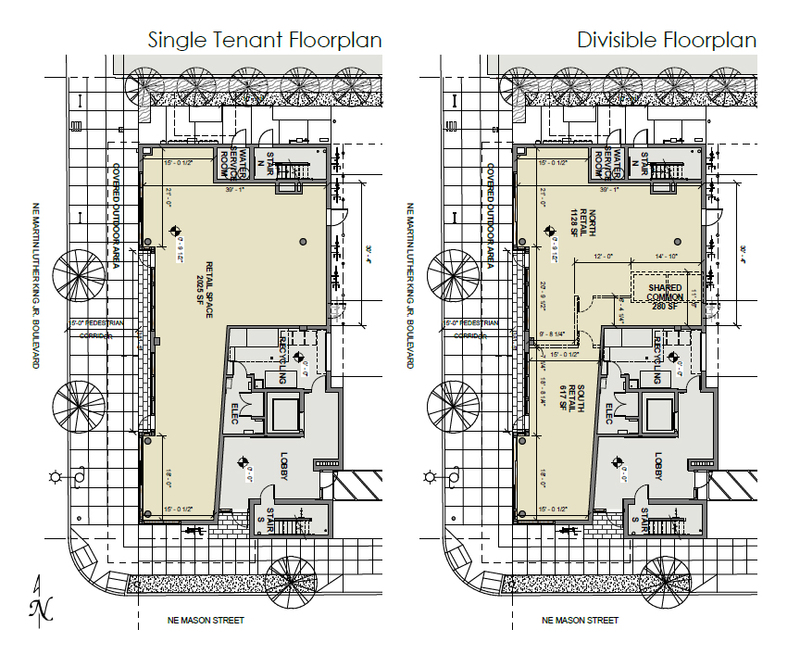 The ground floor of the building includes 2,025 sq ft of retail space, which can be let to a single tenant or divided into two smaller units. The Mason Street Apartments replaces two low rise retail buildings, seen here in 2012. Demolition permits for the buildings were issued in January 2014. The design review process exists to promote the conservation, enhancement, and continued vitality of areas of the City with special scenic, architectural, or cultural value. The proposed mixed-use development will enliven a currently underdeveloped area through cohesive site and building design, thereby improving the quality of the adjacent neighborhood. The building employs high-quality materials and multiple forms that break down its overall mass while maintaining a clear street edge. 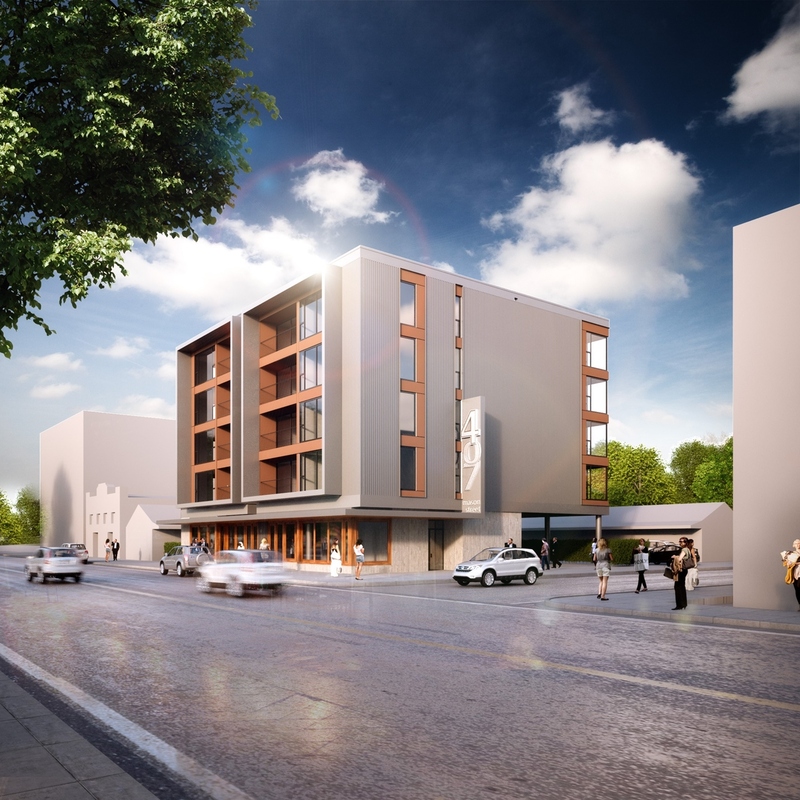 The building will also be respectful of the original patterns and types of development in the Albina area along NE MLK while meeting the density goals and regulations of the zoning code. 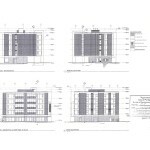 The proposal meets the applicable design guidelines and therefore warrants approval. A building permit for the Mason Street Apartments was issued in May 2014. The project is scheduled for completion in 2015. 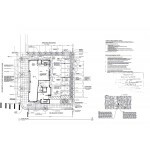 This entry was posted in King, Mason Street Apartments, TVA Architects, VWR Development. Bookmark the permalink.